If there's one thing that I love about being a blogger it's having the opportunity to bring my readers products that I love and can't get enough of. Back in January I showed you how I achieved a flawless glow with the use of Pixi Beauty skin care (see blog post here). 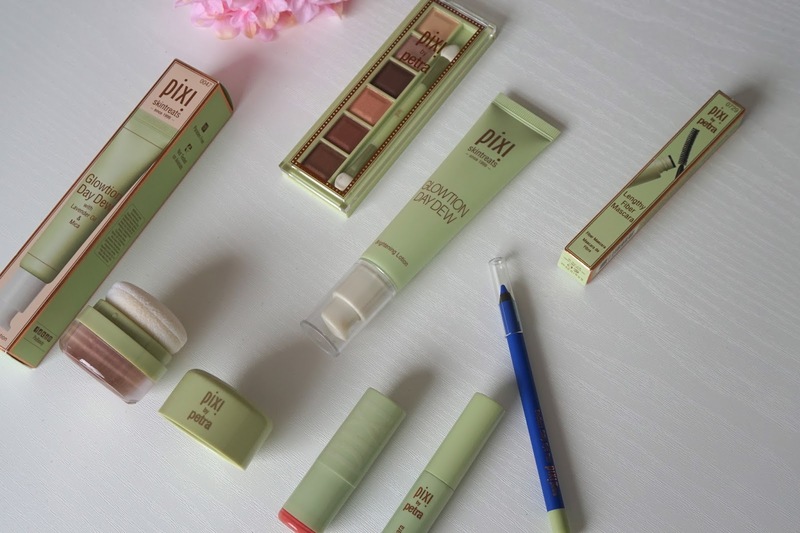 I'm an avid fan of Pixi Beauty, but today I'm showing you all how much I love their make up range. With it officially being spring now (and my skin glowing) I'm showing you how I achieve the most flawless make up using Pixi Beauty Make up. Pixi are known for their amazing skin care, (if you haven't tried any of their products yet, I recommend the Glow Tonic... or the Glow Mud Cleanser; I can't choose, they're all just amazing) but most people don't know that they have a fantastic range of make up products that help your skin stay glowing and flawless, with also some of the most beautifully pigmented and creamy eyeshadows I have ever come across. To create this look I obviously started by cleansing and toning using my Pixi Beauty products from here, then started my base with the Glowtion Day Dew which is their brightening lotion, perfect for a natural spring time glow. The lotion has a pearlescent finish to it, which can be used as an all over lotion or simply if you want to add a little highlight; think strobing. It has this amazing lavender and citrus scent, perfect for waking you up first thing in the morning. 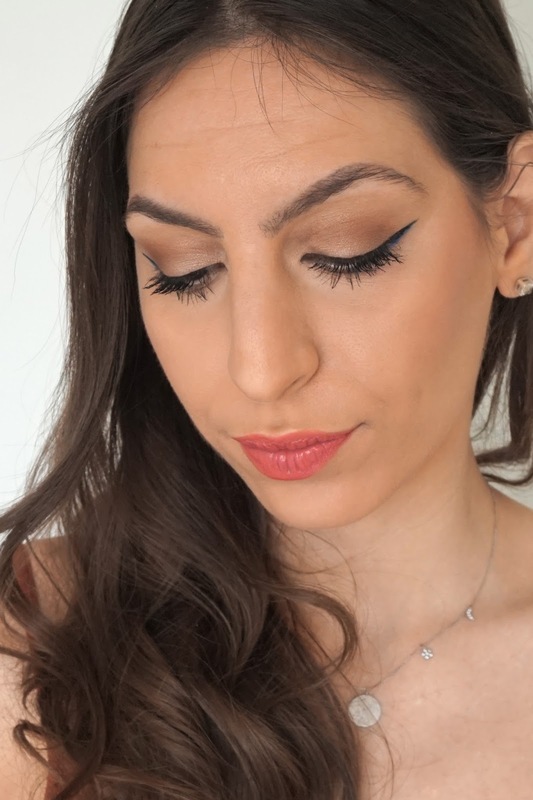 Once I let the product settle into my skin, I continued with my regular foundation make up routine, and continued to finish my look using simply Pixi Beauty make up. I instantly fell in love with the eyeshadow palette. I'm off to a few holidays this summer and if there's only one thing I can bring with me I know it has got to be their Mesmerizing Mineral Palette in Copper Peach. I love how buttery soft and pigmented the colours are, how their so blendable and how easily compact it is. Ideal for travelling all summer long! I was also sent a blue eyeliner to try out, something that was a little out of my comfort zone as I am more of a neutral girl when it comes to make up, but I've fallen in love with how soft it is. I will definitely be ordering a black eyeliner as it will be perfect for any smokey eye as it's so easy to blend out. 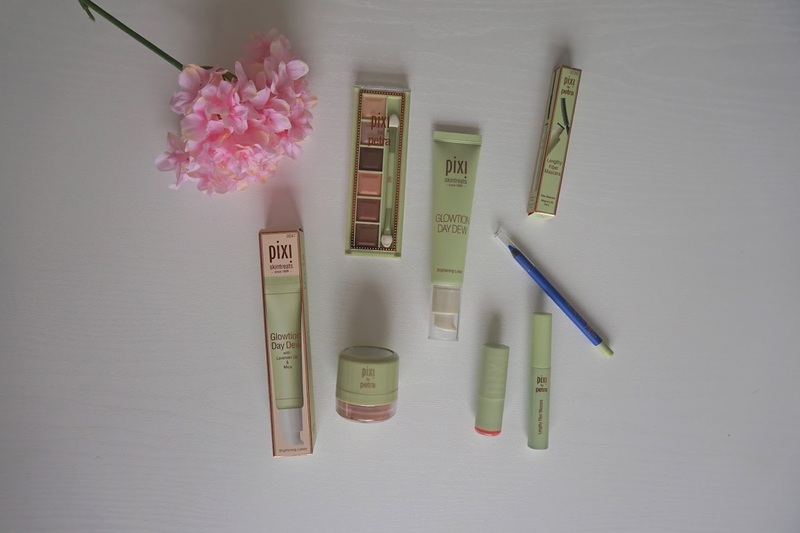 Once again I am offering all my lovely readers 15% off all Pixi products with the code pixiwearisma. So there really is no excuse not to try any of the fabulous products!